Kongwak Market is held every Sunday* rain, hail or shine. An indoor and undercover stalls selling a selection of vintage/retro and second hand home wares, clothing, albums, art, jewellery, local produce, plants, books, live music, great food and coffee plus a fun atmosphere. It is set in a huge shed and there are outdoor stalls and hand made items, all undercover so the market is on in all weather. Yummy food including curry and sausage sizzle. Musicians play all day and a gold coin donation will get you entry. 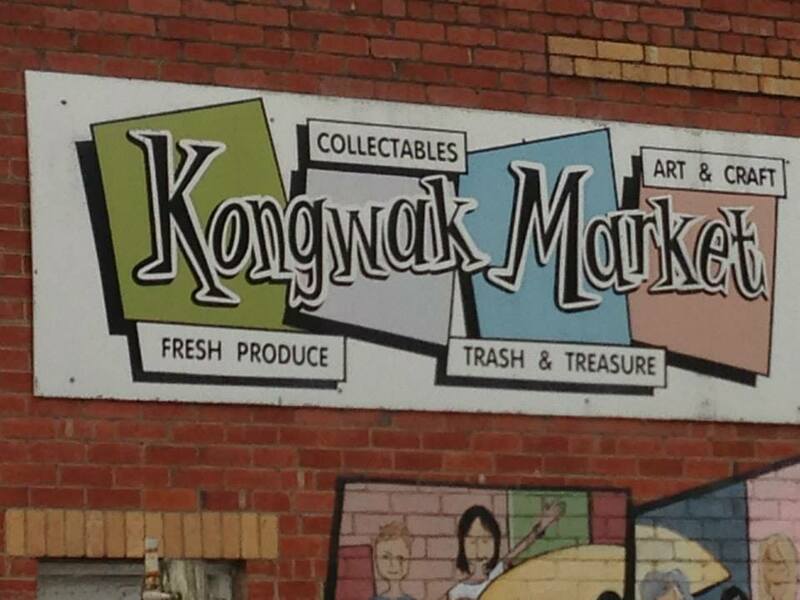 This market is held at the Kongwak General Store & Sheds. Kongwak is a 2 hour drive from Melbourne down the Monash Freeway (125 km) to Korumburra and then right onto the Korumburra Wonthaggi Road.